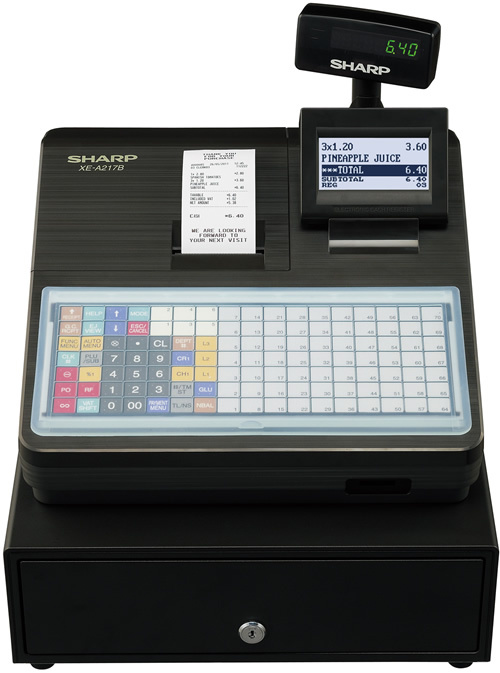 The Sharp XE-A217 Cash Register has a clear back lit 5 or 8 line LCD operator display which provides high visibility. 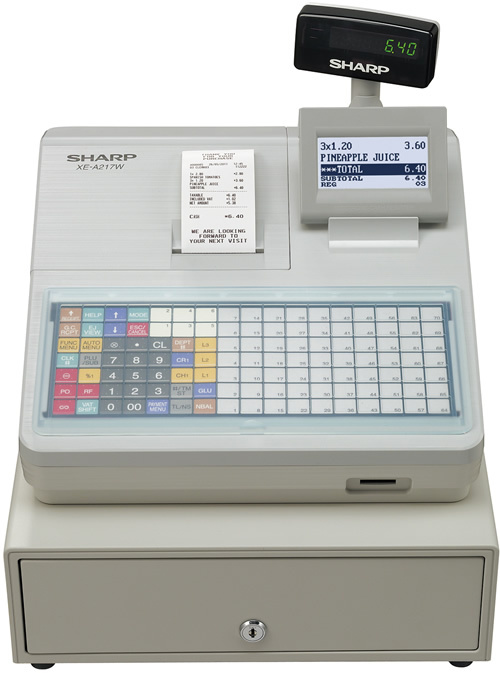 The Sharp XE-A217 Cash Register can display up to 20 alphanumeric characters, allowing clerks to view items, prices, and other information. For better viewing, the operator display can be tilted. With on board SD card slot. SD cards between 4 GB to 32 GB can be used to backup various kinds of data, including daily sales and Electronic Journal data. Data (CSV file type) can also be saved to SD card then managed on a computer via Excel or other spreadsheet software. SD Cards are not included please purchase separately if required. The built-in thermal printer prints out sales receipts on 57mm wide paper at approximately 12 lines per second. A graphic logo can be printed out as well. This model is available in White or Black, so please double check the one you are about to purchase. Height: 365mm Depth: 425mm Width: 360mm (Including Drawer). Click the button below to add the Sharp XE-A217 Black Cash Register to your wish list.